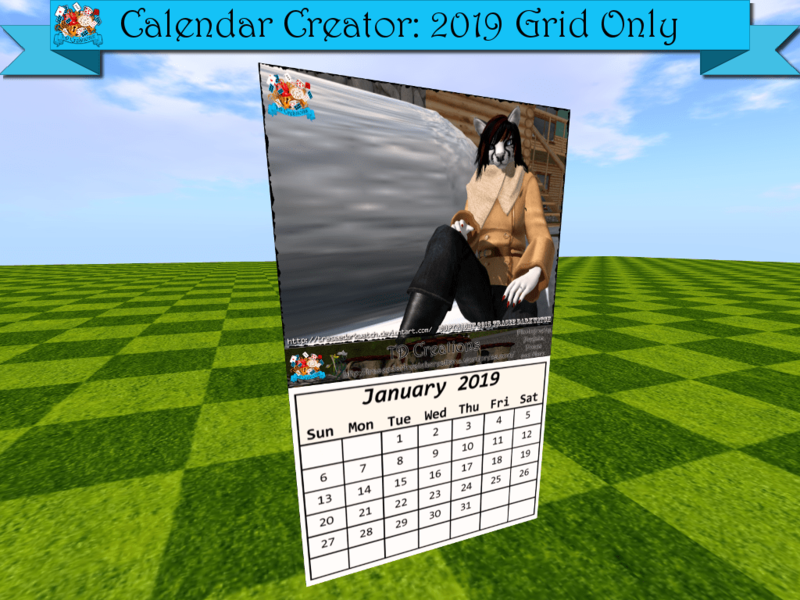 The 2019 Calendar Creator Grid has been completed and is available for those who have purchased the previous version of the Calendar Creator. As with the previous versions, you can create your own calendar grids, or purchase a new calendar grid for each year. In addition, you can localize your calendar, and have the menu display in your own language. Everything is configured from a notecard.